UAAP 76: The Archers are back! ALL PRIMED TO regain De La Salle University’s glory in the UAAP men’s basketball tournament, the Green Archers decisively defeated the panting FEU Tamaraws in a second-half fiery comeback with a final score of 71-68, at the SM Mall of Asia Arena last September 25. The Green Archers led by Jeron Teng, LA Revilla, and Norbert Torres fuelled the animo as the team pumped in points at the last five minutes of the game and swiped the Tamaraws’ chances to keep their early lead. DLSU was down 47-56 in the last minute of the third quarter but caught up with the Tams in the payoff period. 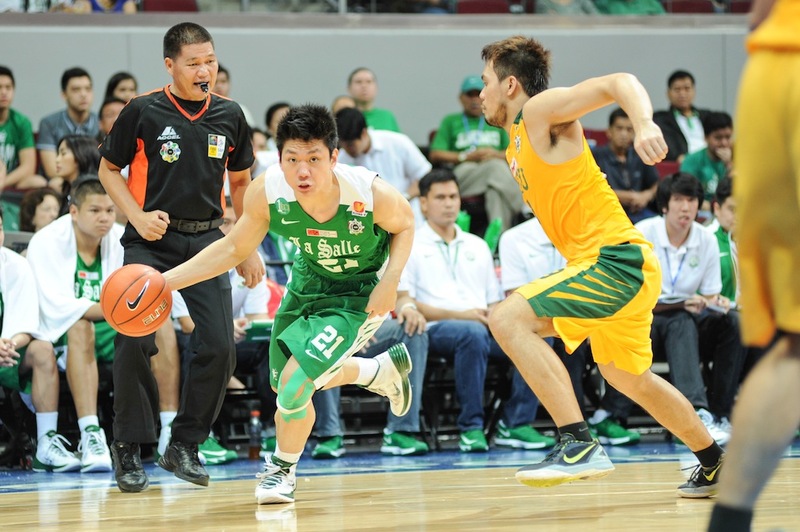 Teng capped the game with 15 points and 10 rebounds while Revilla also scored with 15 points and eight boards. Torres garnered 15 points as well, with seven boards. The win has given the team its first finals appearance since 2008 and 14th overall since 1994.